A Warrington based company, is one of Britain’s largest independent distributors of computer hardware. Following consistent growth, strategic acquisitions and mergers the company has expanded considerably. Their Warrington Head Office site with a 72,000 sq ft distribution and picking centre is a perfect example of this progression. Rob Buchan, a mainstay of VIP’s business is the Operations Manager and the man charged with keeping the distribution side running efficiently. 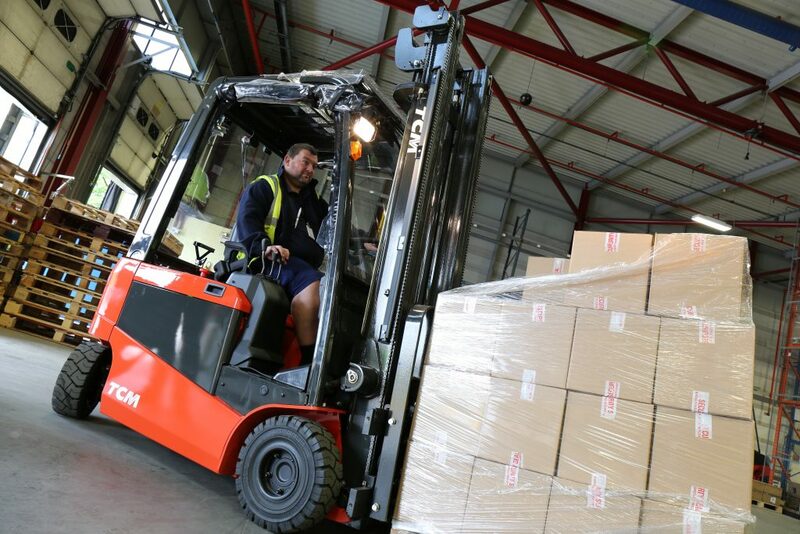 “My aim is twofold,” said Rob, “maximise pallet storage and save money for the company.” With 2,500 pallet locations in the main building, we made a decision to expand (’next door’), as Rob said, with a brand new £1.6 million warehouse adding another 5,000 locations. The new extension allowed Rob to further improve the concept of mixed storage and picking, installing 10m high racking enabling pallet loads to be stacked five high supported by 4 x Magaziner Very Narrow Aisle (VNA) turret trucks, otherwise known as man-up order pickers. Carrylift’s Senior Sales Executive Geoff Pearson believes the equipment provides the best option, as well as a high degree of reliability. “It is a technical type of kit,” adds Rob. “It’s been upgraded but our operators are familiar with it, and the equipment we’ve had from Carrylift has always been up to the job”. 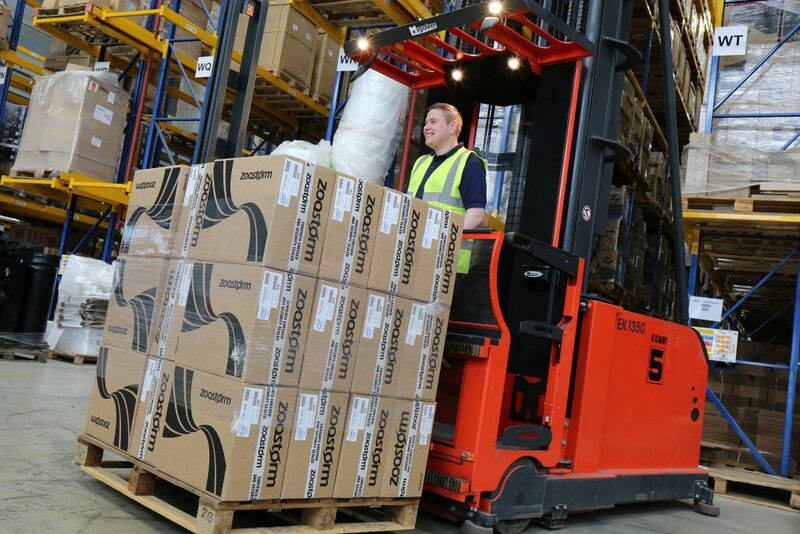 TCM four-wheel Electric Counterbalance and Electric Powered Pallet trucks, all in company colours, make up the rest of the fleet.